Contemplative prayer is an ancient Christian practice. At St. Michael’s, we recognize the importance of ancient practices of contemplative prayer and worship, especially in a culture so full of noise, information, busyness, and unrest. Those who long for quiet and a profound experience of God’s presence will enjoy contemplative Christian practices. 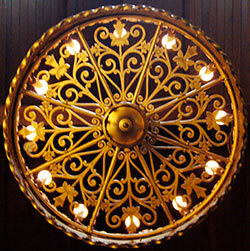 We offer training and practice in Centering Prayer, a Christian-based meditation practice. We also offer a weekly contemplative worship service. During different seasons of the year, we often offer small-group studies on contemplative approaches to our faith. All Contemplative Services are held in St. Michael’s new chapel, The Chapel of Mary Magdalene, the First Apostle. You may enter through the office entrance on Bradley Avenue. 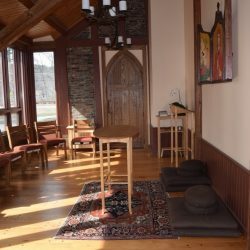 6:00-7:00 am, Monday-Friday, Silent Meditation – The Chapel is open during this hour for anyone who would like to meditate or pray in silence. You may stay for the whole hour, for five minutes or anything in between! All are welcome — neighbors, community members and people of other faiths. 5:30 pm Thursdays, Contemplative Worship – A simple 30-minute service of chanting, silence, and quiet reflection on scripture (lectio divina).